Alloy radiator for MG Midget and Austin healey Sprite. 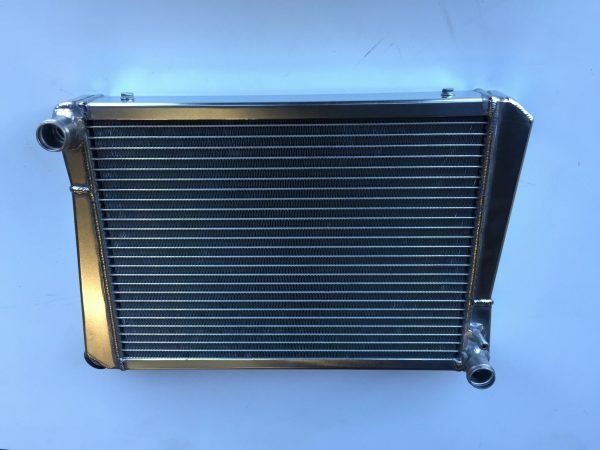 Our lightweight aluminium radiators are manufactured to be a direct replacement for the original item using the same locating holes and therefore a very simple installation with no modifications to the car or hoses required. Made from high quality alloy, these radiators do not only look stunning but greatly increase the cooling capacity of the car.